In the buildup for PiWars, I have been looking at different methods for controlling my Robot, in this post, I will run through some different methods and their pros and cons in my opinion. Last year my robot PyroBot was controlled by a Canny Bot custom joystick controller or app, the robot side was dealt with a Canny Bots BlueBrain, a mini robot controller with BlueTooth LE, line following sensors and motor drivers. The BlueBrian was connected to the Raspberry Pi via the serial link. First we start with …..
Pros cost, simple programming in python, lots of keys! cons you may need to use a second keyboard to stop running the program. speed control and steering is not as precise as a analog joystick. short range 15m or less. 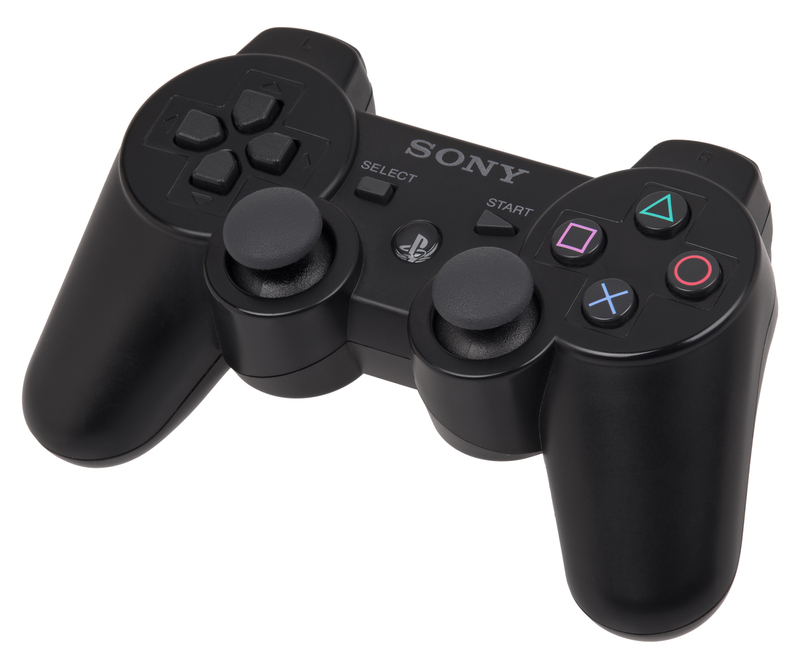 It’s possible that you already have a controller at home, my favorite is the Sony PS3, you can also use a Xbox 360 controller or a Nintendo Wiimote controller. You will need a BlueTooth dongle for the PS3 and Wiimote, for the 360 controller a PC adaptor is required. I have only used a wired a 360 controller with RetroPi and have not used a Wiimote with a Raspberry Pi. however I found the following guides to get started. Pros good analog joystick control, python libraries available. Cons cost if you have to buy a controller and dongle to buy, the Wiimote has only binary input, short range. 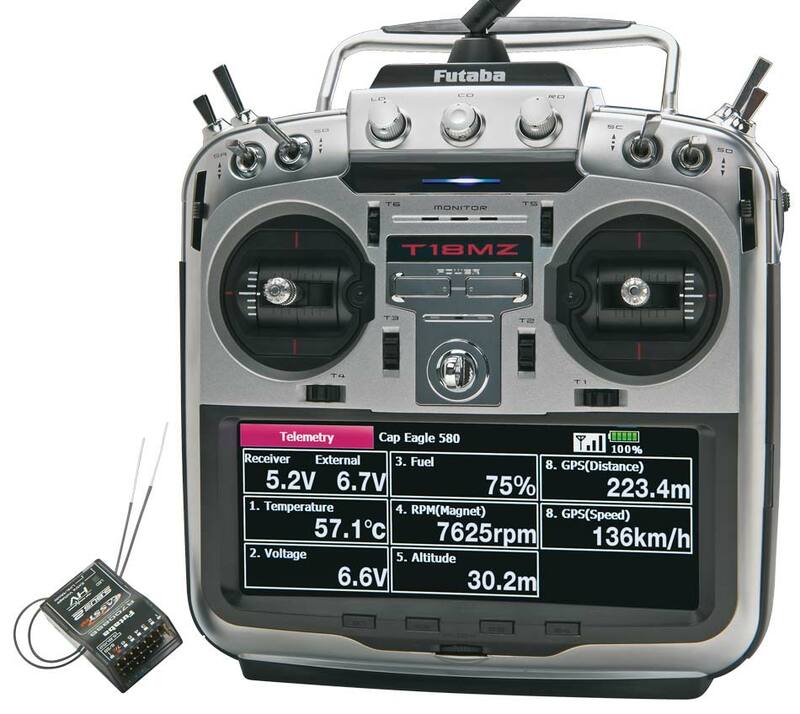 RC control is possible, but there is no simple cut and paste solution, you will need a receiver that can output the received signal as either an I2c or a serial link to work with a Raspberry Pi. Cons cost, no simple solution. 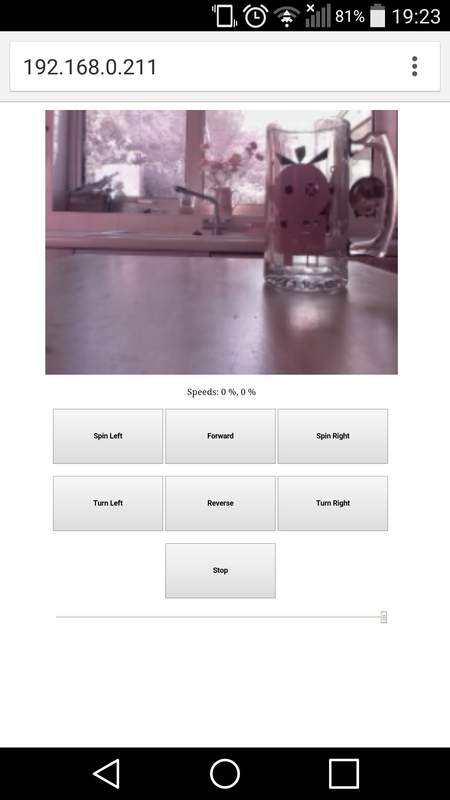 View real times images from your onboard Raspberry Pi camera, control your robot via your phone, tablet, PC or even a Raspberry Pi. It even possible to control your robot over the internet. 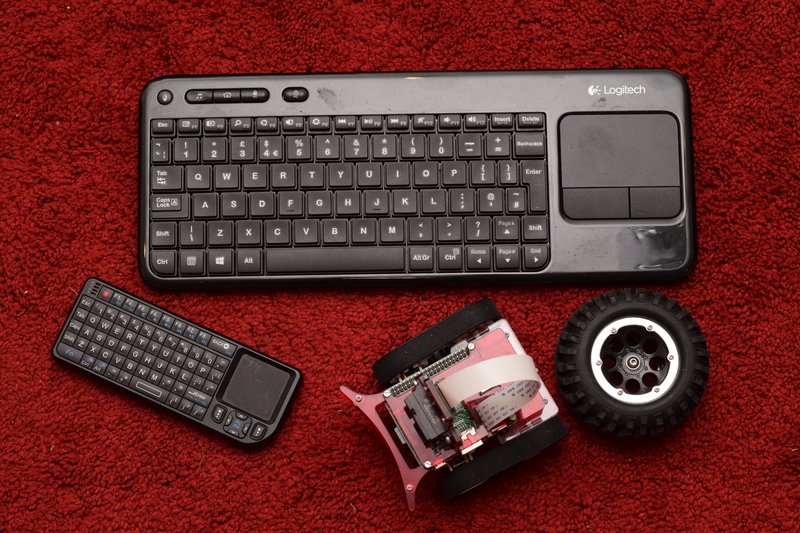 To use a web interface, your device and Raspberry Pi will need to be on a common network and setup your router for external access to your network, if you want to control your robot over the net. It is also possible to setup your Raspberry Pi as an access point. See the PiBorg website, for an example on how to control your robot via a web interface, look at the DiddyBorg Metal Edition pages at http://www.piborg.org. 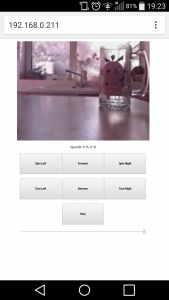 Pros don’t need a keyboard or Joypad, you can view images from the Raspberry Pi camera. Cons fine control is hard, you need a router, if your Raspberry Pi is not set up as an access point, control could be laggy if the network is poor. There are many apps available for you phone or tablet some are even customizable. They connect via bluetooth or Wifi, search for Raspberry and Controller. You may wish to try this app from http://www.blynk.cc/ availble for both andriod and Apple devices. Cons you need a BlueTooth or WiFi dongle, depending on the app, speed control maybe basic. Pi Wars ll (2015) round up!